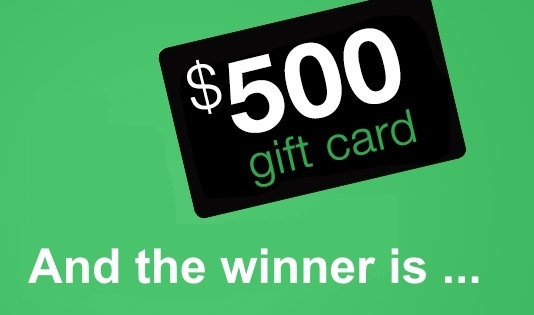 In our August edition of Indian Trails Express, we invited past and current group charter customers to take a short survey and enter a random drawing for a $500 Amazon.com Gift Card®. The lucky winner: The University of Michigan Club of Greater Flint. There’s likely no better person to make the arrangements than Karas. She’s a dyed-in-the-wool Wolverine, having earned undergraduate and graduate degrees at U-M, and served as the club’s first female president, as well as director of U-M Flint’s Annual Fund Campaign. The club, which is part of the U-M Alumni Association, plans to use the $500 gift card toward the pep rallies it hosts for football games. “We invite alumni, provide light refreshments, have door prizes, and hold a raffle for football tickets—it’s a tradition,” says Karas. Working with Indian Trails is easy and straightforward, she notes. Club members like it because they don’t have to worry about parking at sports events, the drivers are courteous, and the “buses are always clean” and equipped with WiFi and DVD players. She also advises getting all the costs together—transportation, meals, lodging and event tickets—so you can provide a realistic per-person cost to your group for the trip you’d like to take. Starting October 30, the Detroit Connector—a University of Michigan bus service linking the Ann Arbor campus with Midtown Detroit—will expand from four days a week to seven. In addition, the service—which had been operated solely for U-M faculty, staff and students—will begin offering rides to the general public for the first time. Having operated the Detroit Connector for U-M since 2014, Indian Trails will shift daily operations to its Michigan Flyer division, which supports the similar “AirRide” service between Ann Arbor and Detroit Metro Airport. Detroit Connector bus stops will include the Central Campus Transit Center (CCTC) in Ann Arbor, U-M Dearborn, and U-M Detroit Center in Midtown. The CCTC is about a 15-minute walk from Blake Transit Center, the main stop for Michigan Flyer-AirRide in Ann Arbor. The Detroit Connector will also expand service hours, with Friday and Saturday runs as early as 7 a.m. and as late as 1 a.m. The new schedule is available online here. Started in 2013, Detroit Connector has operated on grants, donations, and funding by U-M’s Office of Diversity, Equity & Inclusion and Detroit Center. To support the expanded service, riders will be required to make reservations online, and the one-way cost will range between $6 and $10 for most. At a cost of more than $2 million, we’re adding four new full-size motorcoaches to our fleet available for group charters and tours. Professional sports teams, corporations, universities, associations, churches, and many other groups in Michigan, Ohio, and Indiana hire the coaches for travel to whatever destinations they wish in the Continental U.S. or Canada. 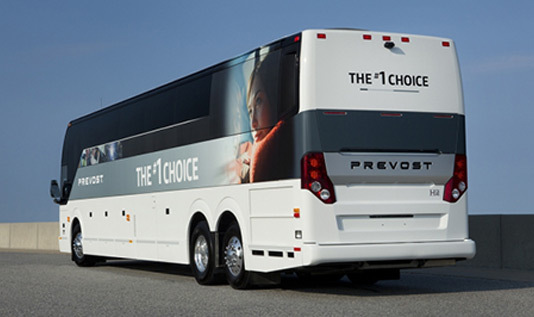 The four new, deluxe motorcoaches—all Prevost H3-45 2018 models—represent a recurring investment by Indian Trails to ensure that its fleet remains among the newest in Michigan for the safety and comfort of passengers. Each can carry up to 56 passengers, and comes equipped with engine technology that reduces exhaust pollutants to near zero while achieving 240 passenger miles per gallon. Equally important are the safety features. Each coach comes with antilock brakes and an electronic stability system to aid drivers and protect passengers in poor weather conditions. The safety equipment also includes GPS tracking, a rear-view video camera, three-point retractable passenger seatbelts, an engine fire-detection and suppression system, a tire pressure monitoring system, an ADA-compliant wheelchair lift, and a front-kneeling suspension that lowers the coach to help passengers get on or off. Among the comfort features are ergonomic seating with ample leg room, individual climate controls, reading lamps, footrests, tinted Thermopane side windows, 110-volt AC outlets at each seat, free WiFi, on-board lavatory, enclosed overhead parcel racks, DVD player, HD color monitors, and premium sound system. In keeping with a tradition begun in the 1930s by Cora Taylor, who co-founded Indian Trails with her husband Wayne in Owosso 107 years ago, each of the new coaches is named in honor of a historical Native American chief: Le Magouis, Naiwash, Shanoe and Thayendanegea. By Dec. 18, 2017, most commercial motor vehicle operators—including bus and trucking companies—are required by federal law to use electronic logging devices (ELDs) to track the time their drivers spend behind the wheel. An ELD automatically captures data on whether a vehicle’s engine is running, whether the vehicle is moving, miles driven, and hours of engine operation. Law enforcement can check a driver’s hours of service by viewing the ELD display screen or a printout. Previously, drivers were only required to file paper reports of their hours on duty—and those are much more vulnerable to inaccuracies, whether intentional or not. The whole idea is to improve highway safety by keeping drivers from spending too much time on the road and becoming dangerously fatigued. According to federal regulations, for example, passenger-carrying drivers may drive a maximum of 10 hours after eight consecutive hours off duty, and may not drive after 60/70 hours on duty in 7/8 consecutive days. 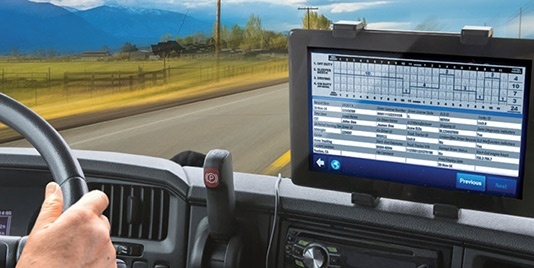 The Federal Motor Carrier Safety Administration estimates that ELDs will prevent 1,844 crashes annually. You may be pleased to know that, while not required to do so, Indian Trails has been using ELDs since 2009. In addition, we’re ranked by the U.S. Dept. of Transportation in the top 5 percent of transportation companies nationwide for safe driving.